After you've decided you want to live in a condo in Madison, you have plenty of choices. It's possible to narrow your search by deciding you want a pet-friendly condo, high-rise building or a historic condo building. If you've decided you prefer the mixture of modern amenities and historic charm, these are the top historic condo buildings in Madison to choose from. Anybody that knows the condo market will tell you, the Doty School Condos are some of the most unique and coolest around. The property is found within the former Doty School building and dates back to 1906. The building was renovated in 1983 into a three-story condo building with 17 total units. Plenty of the original character of the building has been maintained and these condos usually don't stay on the market long. It's common for units in this building to include exposed ductwork and brick, hardwood floors, cathedral ceilings and even a loft-style design. While this is a historic building, the one and two bedroom condos here offer plenty of modern amenities with high-end kitchens and modern lighting throughout. 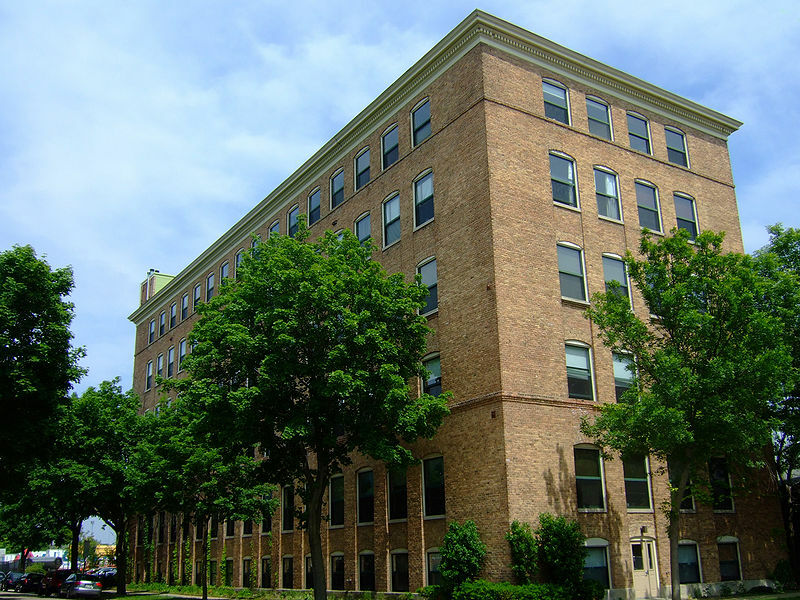 Another historic condo building dating back to 1910, the Das Kronenberg Condos offers a classic brick building with plenty of history. The building is found on the National Register of Historic Places and was once a shoe factory and a warehouse before becoming luxury apartments and later condos. Today, the building includes 43 condo units with plenty of modern amenities. The historic charm still exists with exposed brick walls, plenty of natural light and other historic features throughout. The building also offers a rooftop terrace with amazing views, a fitness center, and a few other amenities. Found at 121 South Hamilton Street, these historic condos date back to 1914. The Baskerville Condos include 22 total units and offer something very unique as the building has a triangular shape. It's a brick building with plenty of character and charm all throughout. If you love the idea of a mixture of modern amenities and features with historic charm and characters, these condos buildings are the best choice.